In the southeastern corner of Ohio, there’s a skate park like no other place on earth. 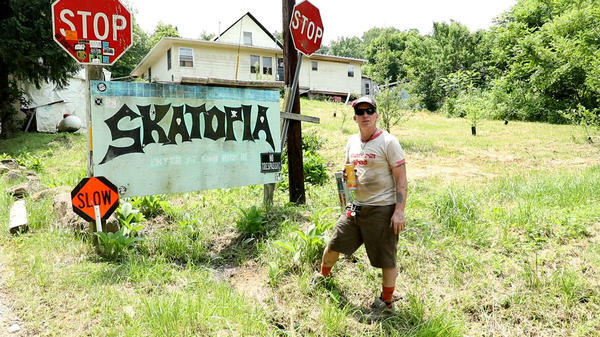 Twenty years ago, professional skateboarder Brewce Martin created Skatopia on 88 acres of woods and farmland in Meigs County. But Brewce recently suffered a traumatic injury and changes are coming to his utopia. Martin is a short, strong man, 52 years old but looks younger. He’s been a professional skateboarder since 1990 and the sport is at the center of his life. 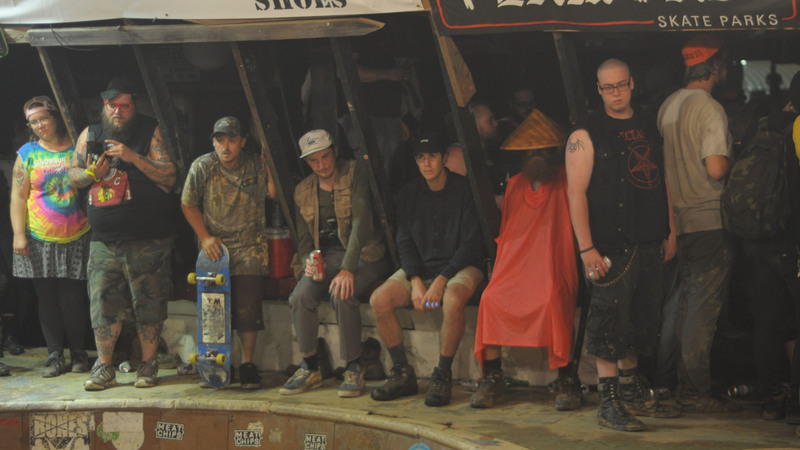 In a ramshackle building near the property’s entrance, Martin has set up a skateboarding museum that he shows to most new arrivals. “So anyway, epic stuff through here, this is the first skateboard I ever had, a yellow Freeformer that I won from the Parkersburg newspaper in 1978,” said Martin during one of those tours. Its walls and ceilings are covered with hundreds of skateboard decks. Other rooms are filled with mementoes from his life. Eight years ago, Martin suffered a traumatic brain injury and spent six weeks in a coma. Since then, he and everyone around him say he’s not the same. For one thing, he’s become a hoarder. Clearing a seat in his car before driving around his property requires moving arms full of junk around. “Meigs County is really poor and so we’re constantly recycling, ok, we’re constantly recycling. Whatever we can get,” said Martin, while standing next to a pile of scrap metal. Scattered around the property, there are piles of sheet metal, trash bins full of empty cans, an old hot tub. After the accident, Martin’s son, Brandon, came back to Skatopia from the professional skateboarding circuit to help run the place. “You know, he’s very impulsive and his ability to control the impulse isn’t there as much anymore,” said Brandon Martin. Brewce Martin’s on house arrest, the result of a felony assault charge from last year. The case is still open – he faces years in prison and plead not guilty by reason of insanity. “I have a really bad temperamental problem now, I lose control of myself a lot of times,” said Brewce Martin. For 40-plus years, skateboarding has been his life. But now Martin can’t skate as often or as well as he used to because one of his eyes never fully healed. There’s a hint of defeat when asked about throwing the next big party at Skatopia. “It’s just because of the quality of my skating has really diminished and that’s where I, my self-esteem was based in that a lot, so, I don’t know,” said Martin. Before his injury, the parties here were nihilistic spectacles. A 2009 documentary called Skatopia: 88 Acres of Anarchy, filmed before Martin’s injury, shows him as the ringleader at the center of mayhem. A guy stomps around on top of a burning car, a woman spits fire into a room of partygoers, someone holding what looks like a handgun is tossed off the top of a car as it barrels down Skatopia’s dirt road. Brandon has begun to exert more control. And he’s trying to move Skatopia away from its reputation. No more burning cars. No more throwing fireworks into the barn. No more guns. “I’ve lost a lot of friends because I’m trying to do something right. A lot of people just wanted to abuse what we were giving and not be grateful for the opportunities we were trying to help people with,” said Brandon Martin. So Brandon didn’t advertise much before their most recent party. Fewer people showed up than in the past. No cars were burned. No lit fireworks were thrown into the barn. And next year, the plan is for invitation-only parties. 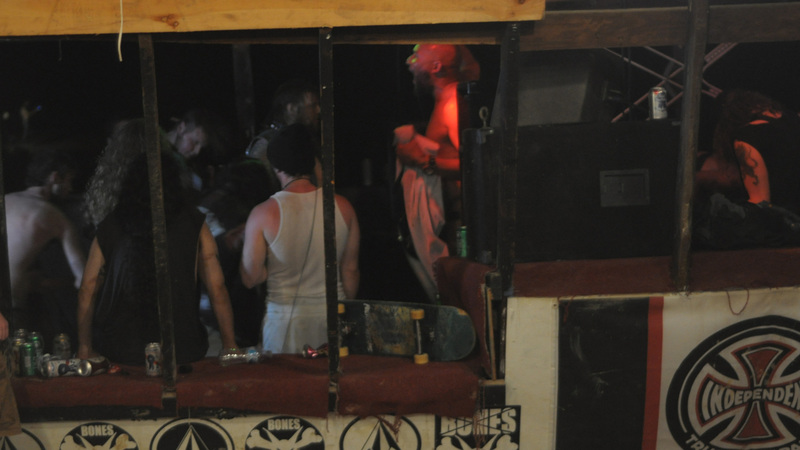 So these days Bruce sits on the edge of the party selling t-shirts, while his son tries to bring some order to this anarchist skater punk dreamland in southeastern Ohio. 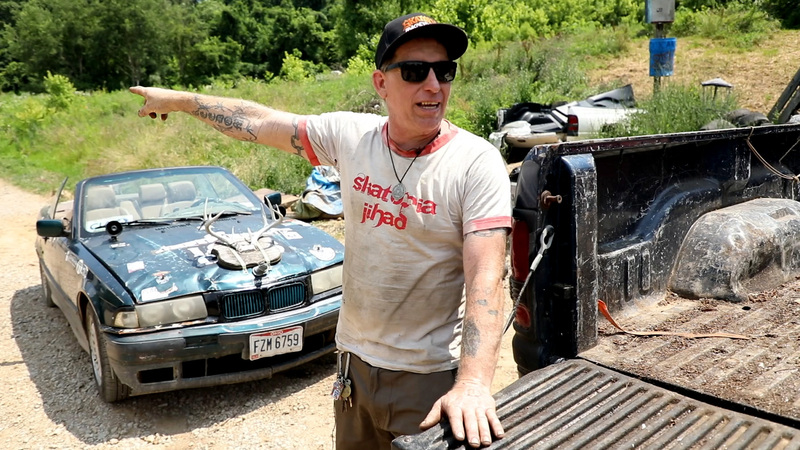 The first time Jake Freed rode a skateboard long-distance, it was because he ran out of gas. He was stuck outside of Yuma, Ariz., in the middle of summer. Without any other options, the military veteran pulled out his skateboard and road 11 miles into town. "I was surprised how quick I got there and how effortless it was," the 34-year-old former aviation mechanic tells NPR. "I got a new light in me and started to wonder how far I could really go." Memories of a childhood spent running away from war. Trying to find stability in a place where you feel like an outsider. 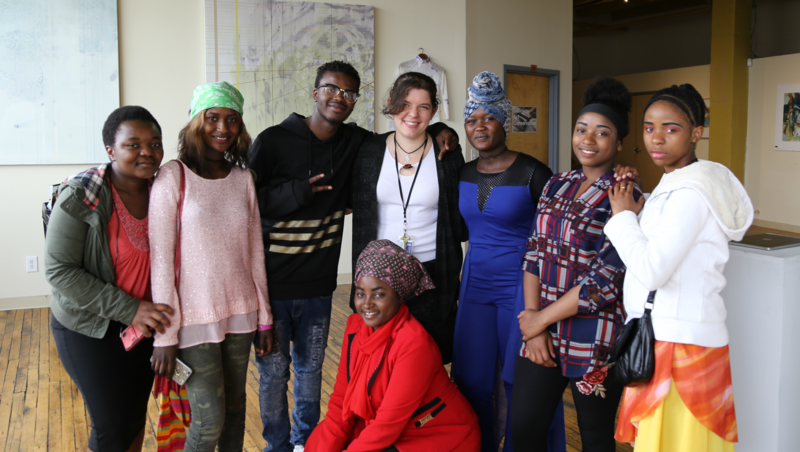 Fifty Cleveland high school students are learning to use art to express their feelings about being refugees. A new exhibit, “Adrift, a Dream,” combines some of their creations with the work of older artists who share some harrowing histories. 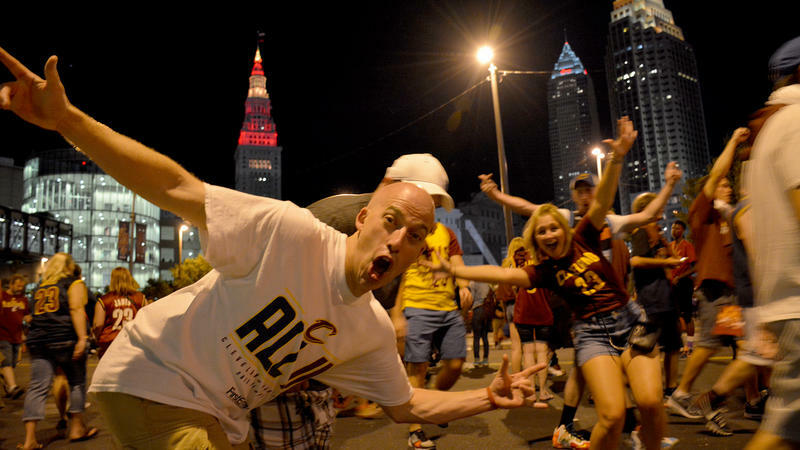 Emotions have been running the gamut among Cavs fans since LeBron James announced he’s leaving Cleveland for the L.A. Lakers. But our sports commentator Terry Pluto says despite some of the anger and sadness, James’ legacy is intact. 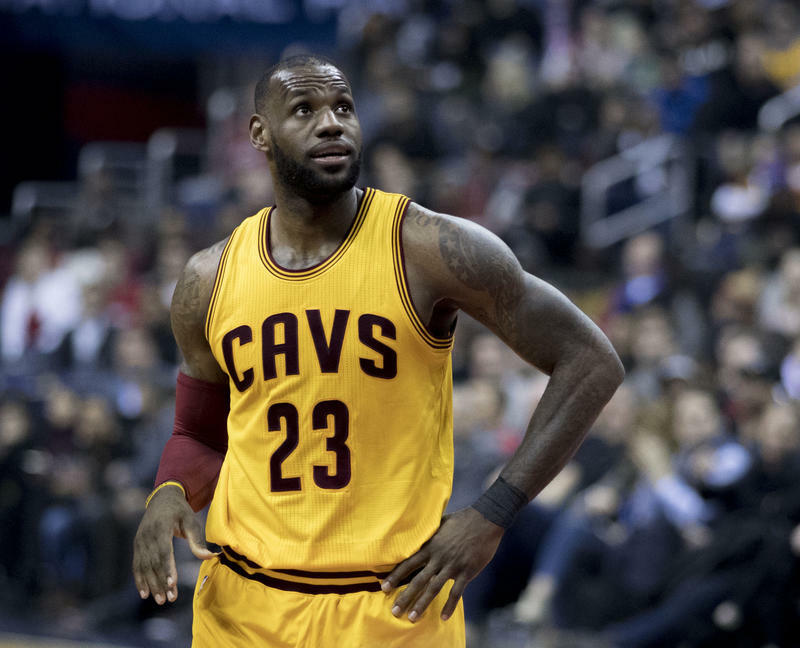 Cleveland Cavaliers star LeBron James is leaving his hometown team once again. The four-time NBA most valuable player has signed a four-year, $154 million contract with the Los Angeles Lakers. Quicken Loans Arena is in the middle of a $140 million renovation, about half financed by the public. The Cavaliers wanted to update the Q for the future—but now that future won’t include the star who carried the team to multiple NBA Finals.